Say you have a chauffeur-driven car. Wouldn’t you like to keep an eye on the car? And ensure that the driver doesn’t misuse your car? To help you do this, Kent RO systems has launched Kent CamEye. It is an easy do-it-yourself (DIY) installation. 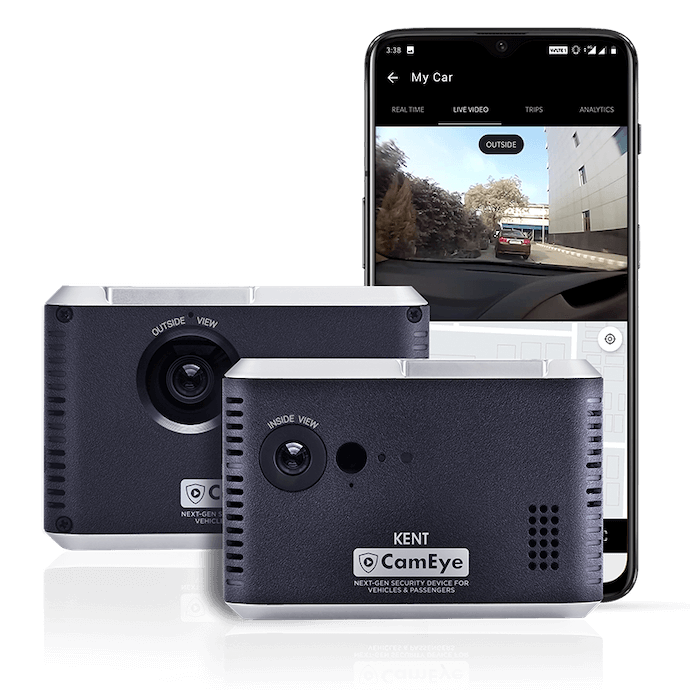 Kent CamEye aims to monitor activities such as over-speeding, rash driving, and passenger safety. The device helps the owner keep a tab on the driver to prevent misuse of their vehicles. The device has a battery backup of 24 hours. Even if the device loses mobile connectivity, it has significant internal memory to allow data capture and storage. As soon as the connectivity restores, it automatically syncs the data on the cloud. See: How to scan a QR Code. Wondering how to power up the installation? It will take power from the 12V car socket without interfering with original electric wiring or IBD port. So it derives power simply from the USD or cigarette lighter socket without being hard-wired to vehicle’s battery. That’s it. Kent CamEye is an initiative to address concerns such as safety of children/ family members inside the car. You’ll get a notification every time they reach or exit a location like school.